Popular Nollywood actor, Oludotun Jacobs’s son has married his Rivers state bride, Boma Douglas, traditionally. Olusoji Jacobs, the groom and son of Joke Silva and Olu Jacobs, who turned 30 last month, has tied the knot with his heartthrob in Rivers state. Joke Silva took to Instagram to post the photos from the private ceremony, as she wrote: Glory be to God. #Wedding #DaughterGained #Portharcourt #Nigeria #Africa @_olujacobs. The groom’s parents are known Nollywood actors. His father, Oludotun Jacobs, generally known as Olu Jacobs, was born on the 11th of July 1942 in Abeokuta, Ogun State, and his mother, Mrs. Joke Jacobs is known as ‘Miss Joke Silva’ on stage. 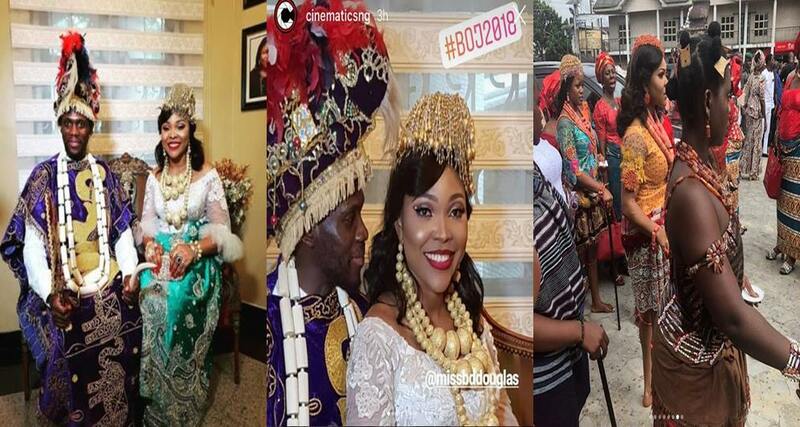 The traditional wedding ceremony took place in Port Harcourt over the weekend and in attendance was parents of the couple and loved ones. The white wedding is scheduled to hold this weekend in Lagos.